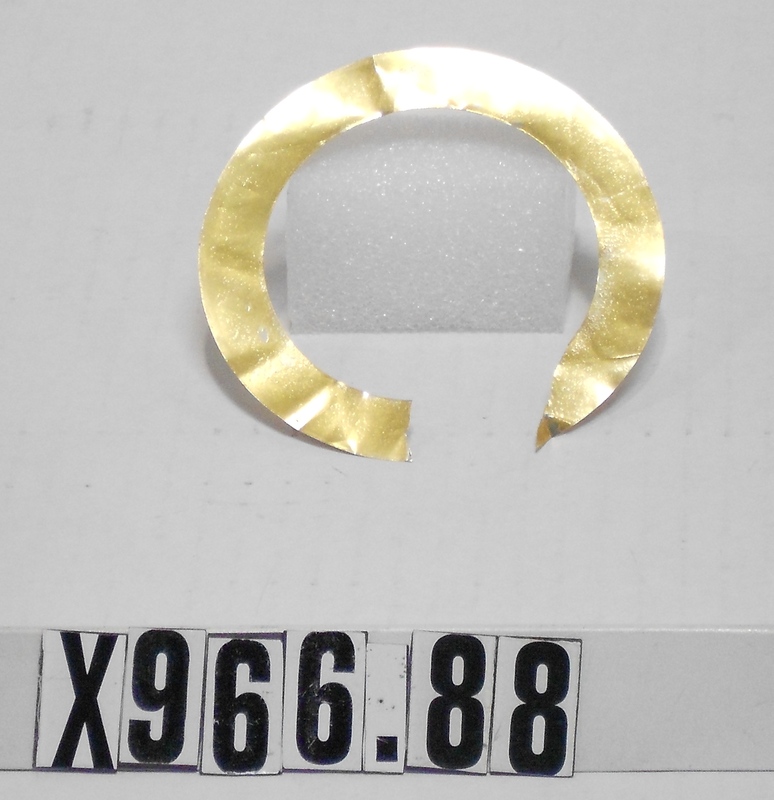 Object is a decorative metal ring or label. 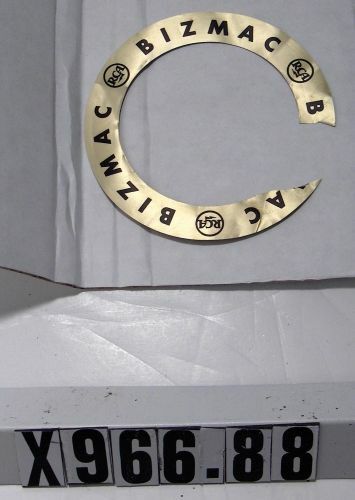 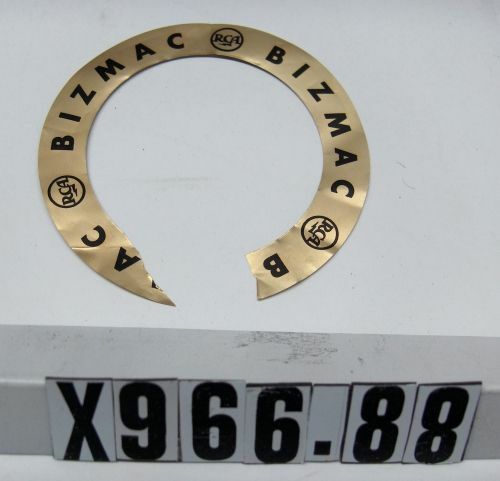 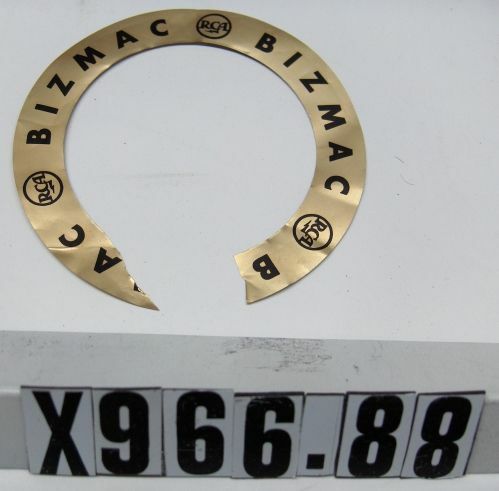 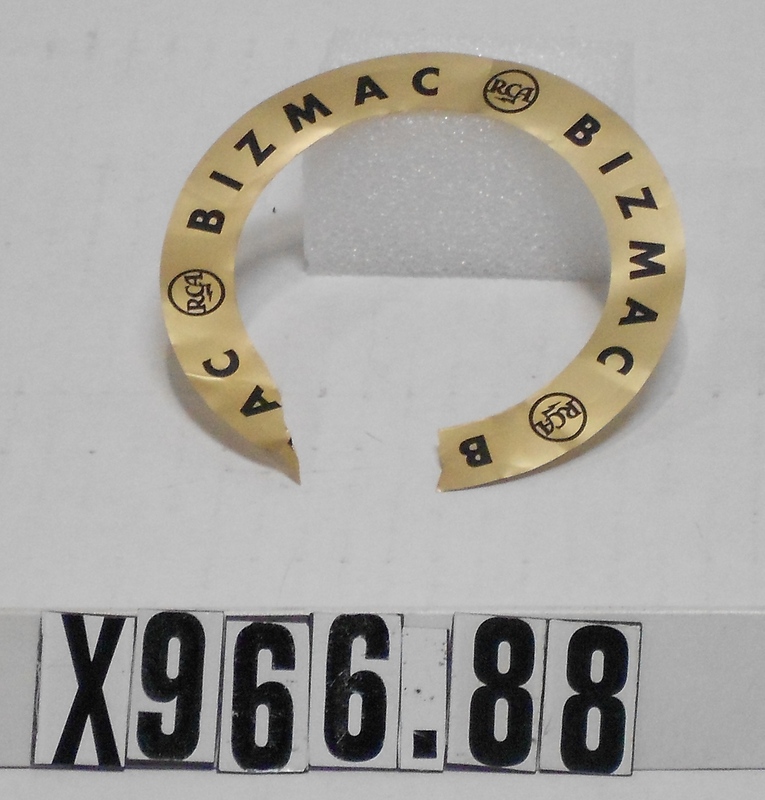 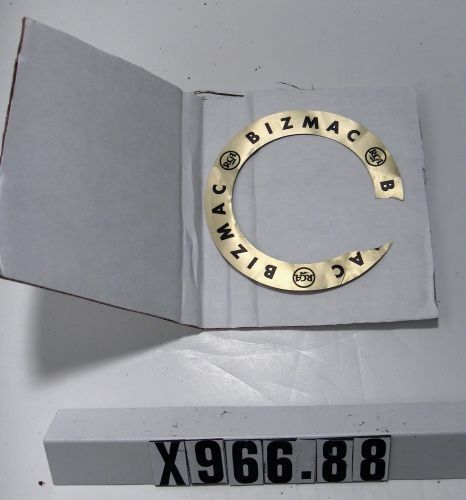 Printed three times around ring: "BIZMAC" and RCA logo. 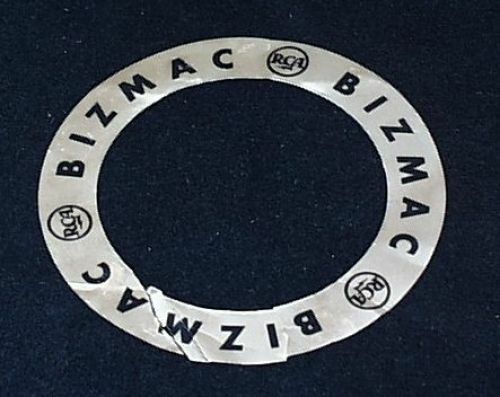 The reverse side has glue residue.